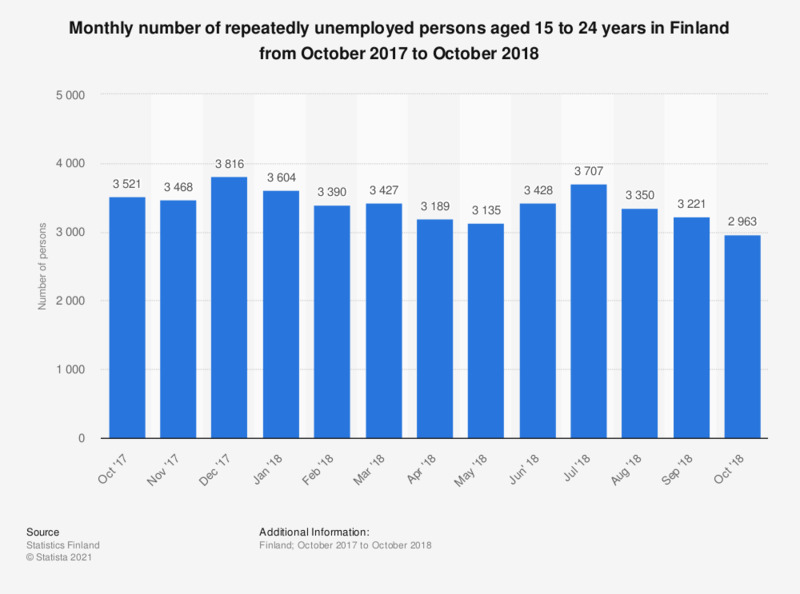 This statistic shows the monthly number of repeatedly unemployed persons in the aged 15 to 24 years in Finland from October 2017 to October 2018. The highest number was reached in December 2017 with approximately 3,800 job seekers. In October 2018, roughly 3,000 job seekers in this age group were considered as repeatedly unemployed.